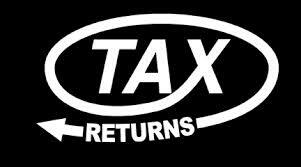 We prepare personal and corporate tax returns, and all associated forms, for all types of businesses. We also provide financial statement preparation for corporations, personal business, farms, partnerships and not for profit agencies. The Child Arts Tax Credit started in 2011. If you have a child under 16 who is enrolled in an arts program lasting 8 consecutive weeks or 5 consecutive days you can claim a tax credit of up to $500 per child. Programs can include anything artistic, cultural, and developmental (tutoring). This is in addition to the $500 Child Fitness Tax Credit that includes all kinds of sports, dance, etc. Contact us for a detailed list of eligible activities. CPP and EI rates have gone up for 2013. The maximum CPP contribution will increase by $92.20 to $2,398.90 and the maximum EI contribution will increase by $53.21 to $893.18.